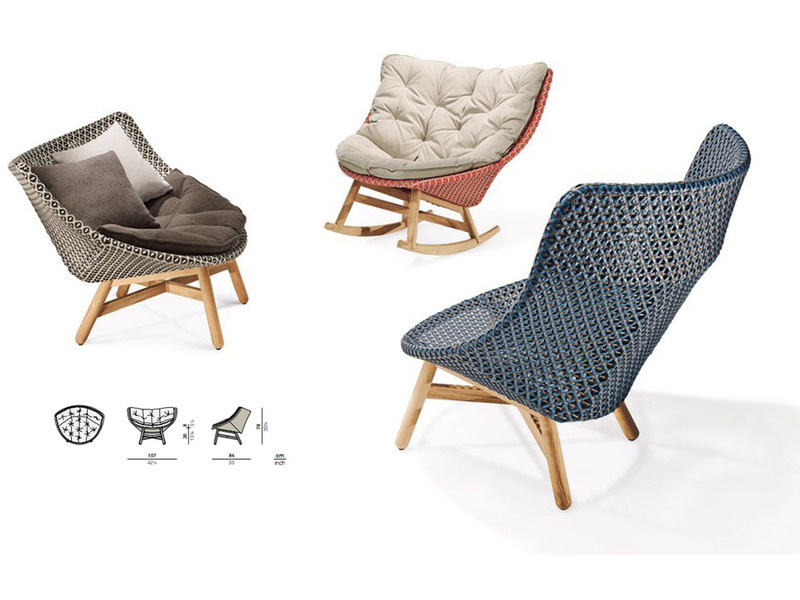 Taking a joyfully unconventional approach to poolside furniture or condominium living spaces, MBRACE by Sebastian Herkner brings together DEDON Fiber seating and a solid teak base to create a unique range of cosy, cocooning lounge chairs. Footstool: Featuring a triaxial open-weave top and a solid-teak base, the MBRACE footstool goes perfectly with all three chairs in the collection. 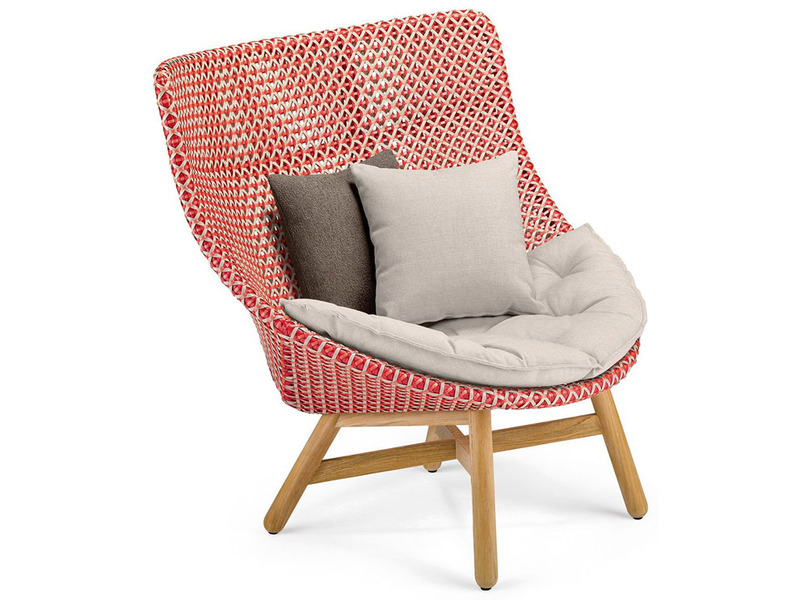 Designed by Sebastian Herkner‘s woven ‘Mbrace’ woven chairs for Dedon are a joyfully unconventional patio furniture, bringing Dedon’s fiber seating and a solid teak base together for the very first time. 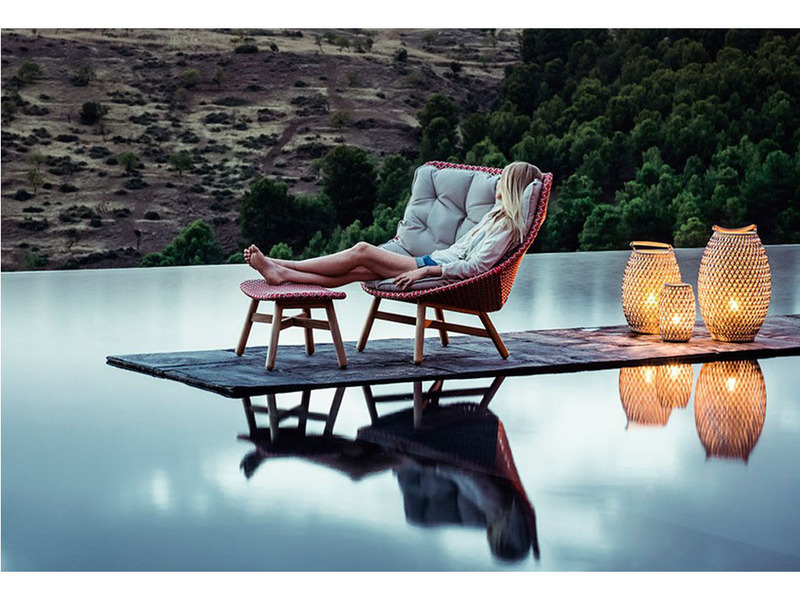 The result is an eye-catching, instantly likable collection of chairs — wingback, lounger, rocker and optional footstool — that captures the spirit of barefoot luxury while extending the Dedon design language into a new more sub-tropical territory. 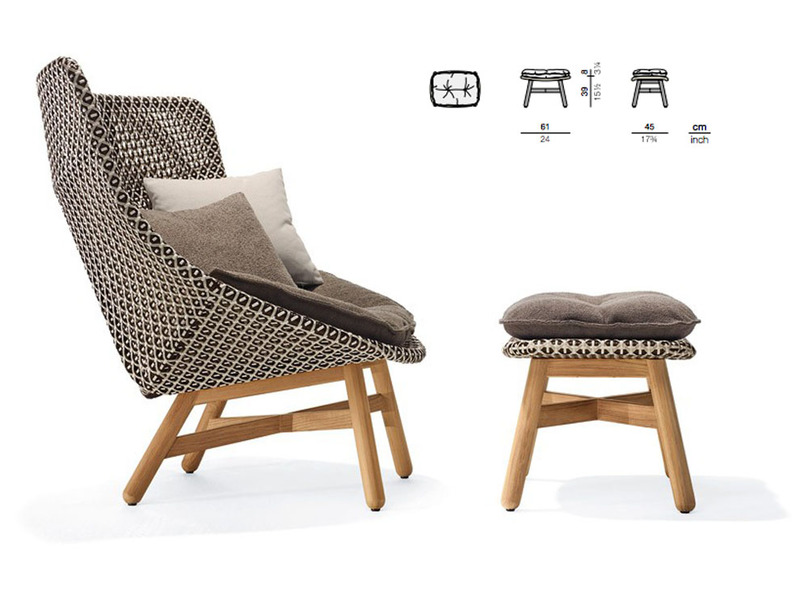 Herkner designed the outdoor seats to be invitingly comfortable, creating a warm, secure, cocooning feeling when embraced by the chair’s extra-wide back, especially after a cool dip in the pool. 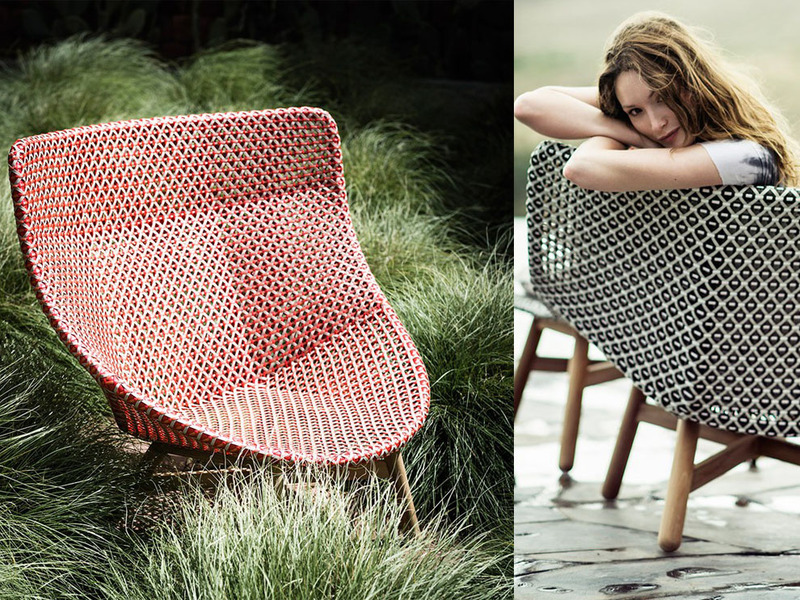 One of ‘mbrace’s most distinctive features is an open, mesh-like triaxial weave consisting of three different fibers, each with its own profile and color. 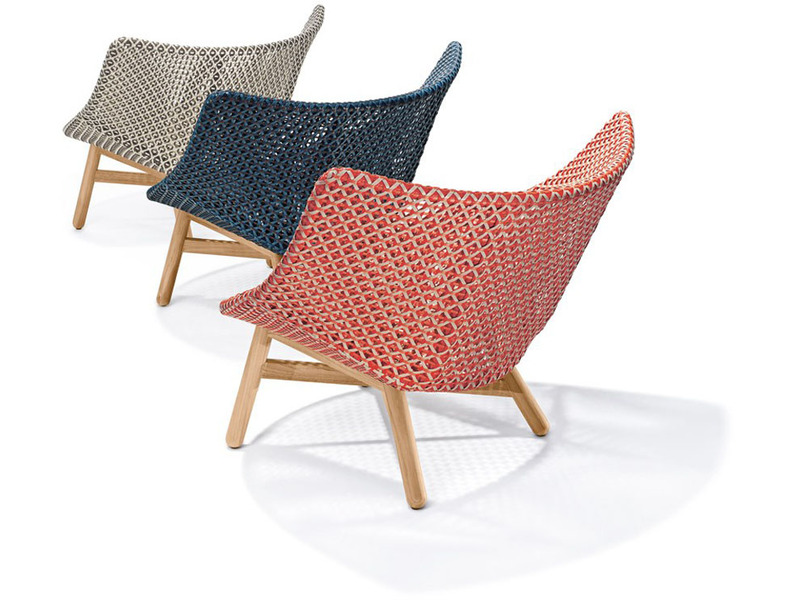 Working in close collaboration with world-renowned colorist Giulio Ridolfo, Herkner and Dedon developed three unique colorways for the collection — Spice, Pepper and Atlantic. With their resonances of travel, trade and adventure, the colorways perfectly support Herkner’s aim of addressing the wide, international audience of Dedon, including ‘young and sophisticated explorers’. 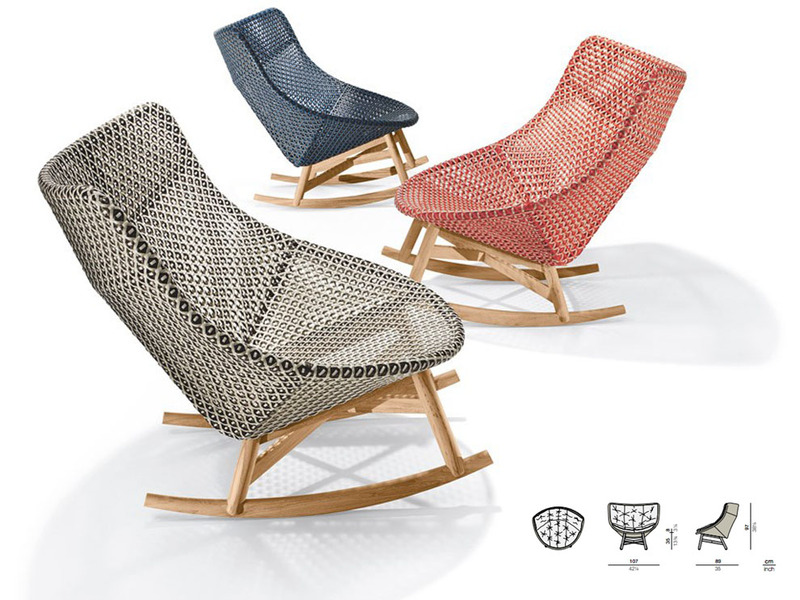 The MBRACE collection by Dedon frame consists of aluminum. The base consists of premium teak. Finished in electrostatic powder-coated in a color similar to that of the fiber. The base consists of natural finish and teak. Creating a warm, secure, cocoon feel when sitting. Cleaning is breeze with a soft cloth and warm water. Wash the bases with warm water in which natural soap flakes have been dissolved. While the covers cannot be removed, the complete cushions may be washed by hand. 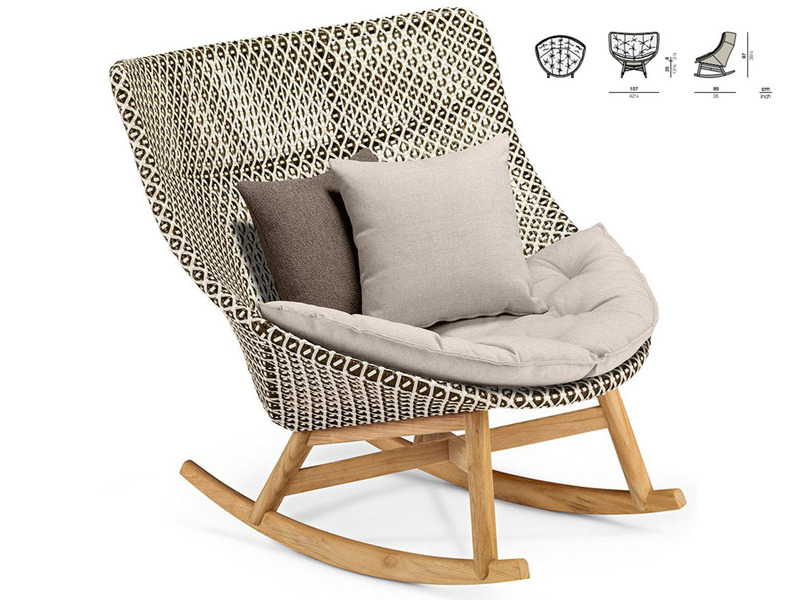 For more Dedon’s outdoor living visit our Miami Outdoor Furniture Showroom for additional information contact us.